Big, Bold, Beautiful. 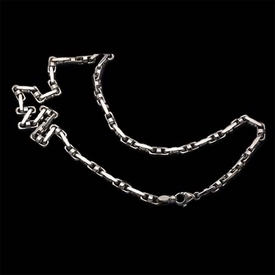 Platinum T-link design bracelet is a very unique design. Bracelet measures 11mm wide and the price shown is for a 9.25" length. Gram weight aprox. 137 grams. 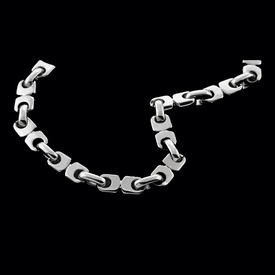 Guaranteed for life against defects, .950 Platinum. 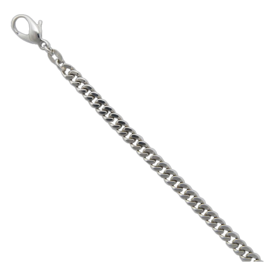 Platinum, a modern version of a classic mariner bracelet. This Platinum bracelet measures 10.5mm wide and weighs 68.1grams for the 8.75" length. Guaranteed for life against defects, 950 Platinum. Heavy Platinum Curb link bracelet. 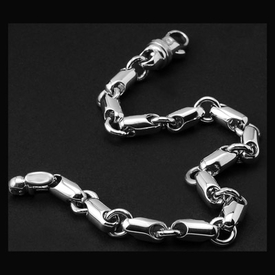 Incredible 13mm wide (over 1/2 inch) Platinum curb link design bracelet is 9.25" in length and weighs 183.25 grams. 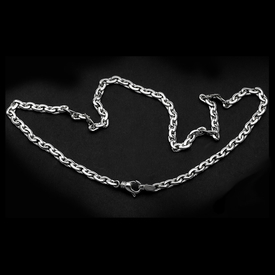 Guaranteed for life against defects, .950 Platinum. Platinum solid tube link design chain. 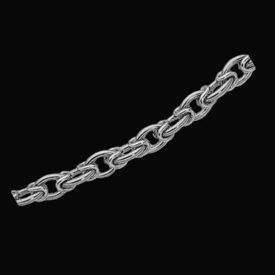 This rounded tube design chain measures 4mm wide and the price shown is for the 8 1/2 inch length. Gram weight for the bracelet is aprox. 48grams. Custom made to order chain is available in any length. 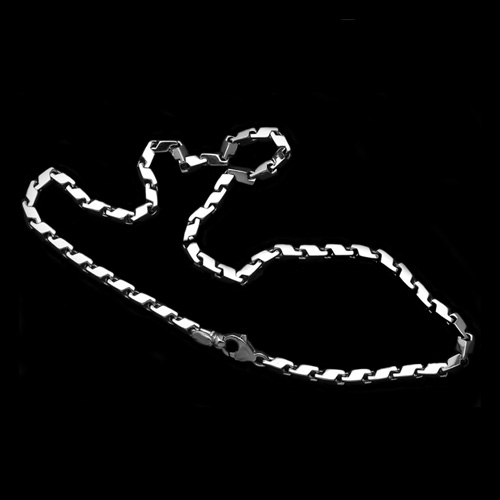 Platinum handmade Cable link chain. 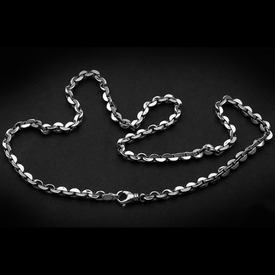 Handsome 5mm wide Platinum chain is great as a bracelet or neck chain. 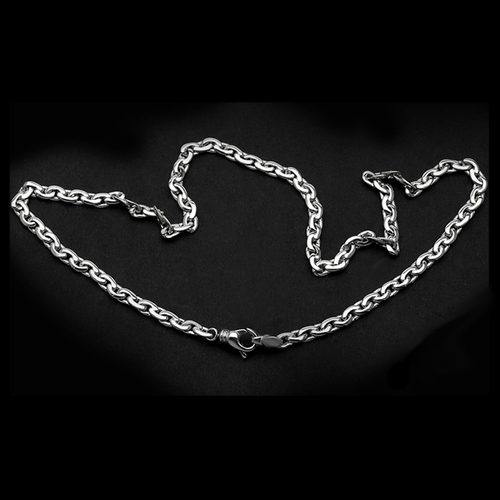 Price shown is for the 8.5 inch bracelet weighing aprox. 29 grams. 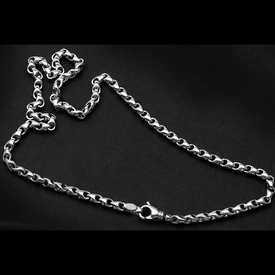 Example gram weight; 20" neck chain aprox. 68.2 grams. Email for additional pricing. Unique link design Platinum bracelet or neck chain. 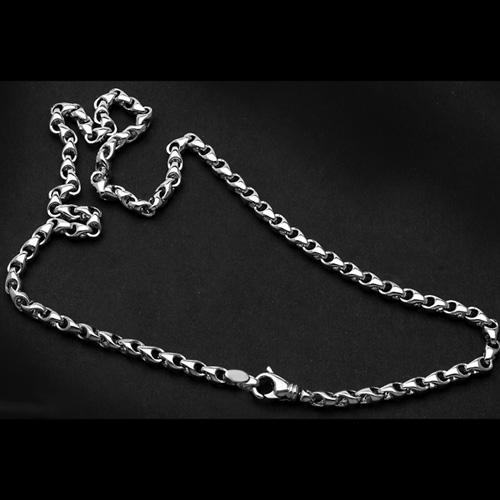 This design measures 6.5mm wide and our price shown is for the 9 inch length. Aprox. 54.5 grams. 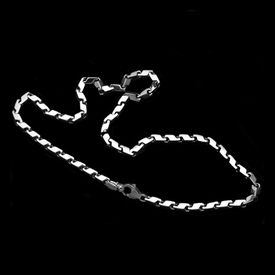 Order this chain in any length. A Guaranteed for Life against defects item. 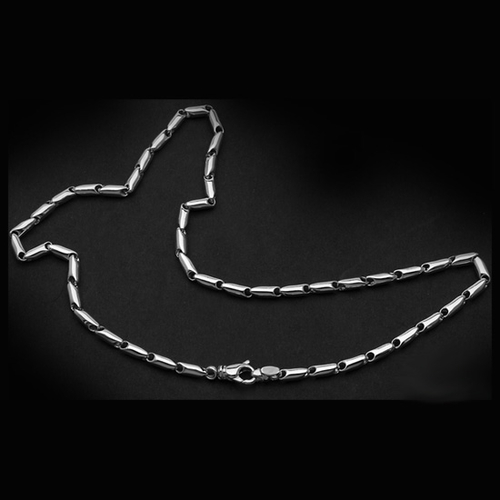 Fancy link design Platinum chains. 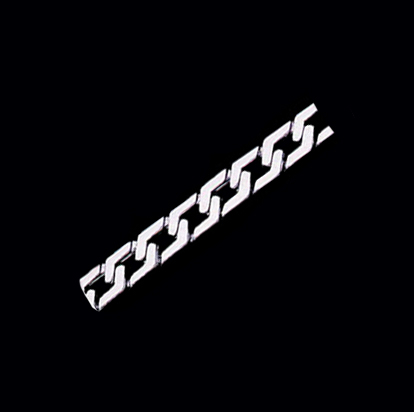 This lovely Platinum chain design measures 5mm wide, price shown if for the 8 1/2 inch bracelet length weighing aprox. 44.44grams. Custom made to order chain is available in any length, we are listing a few standard lengths for price comparison.